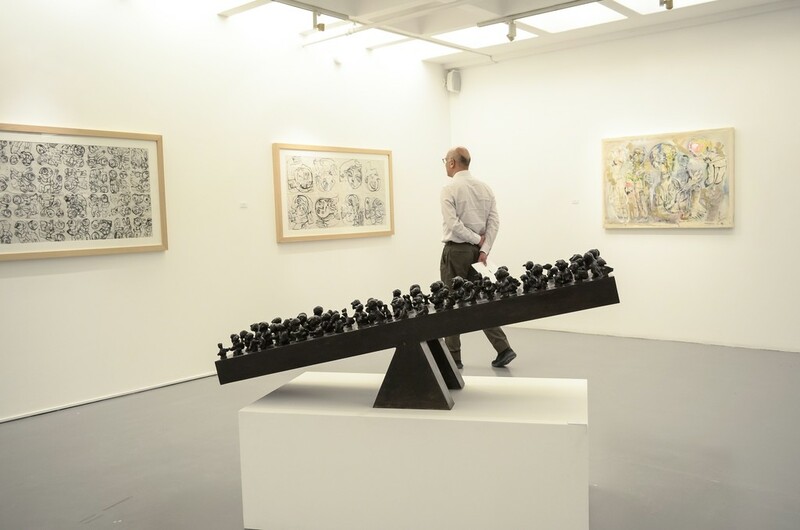 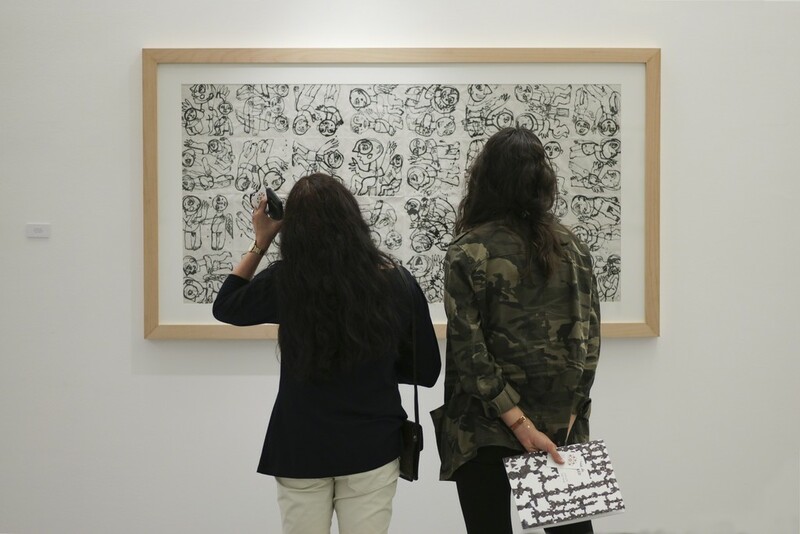 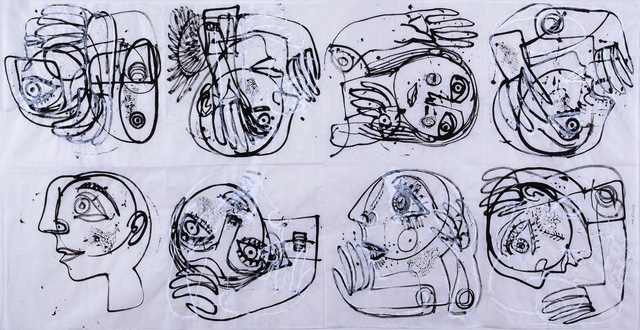 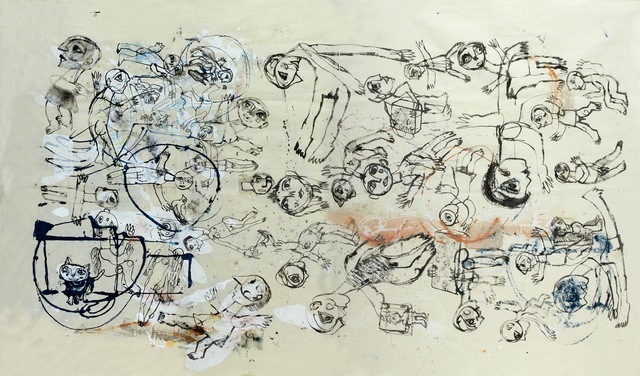 A new exhibition in Kuwait of works by Fadi Yazigi tracks the renowned Syrian artist’s creative journey over the last decade and the impact that the intervening years have had on his art. 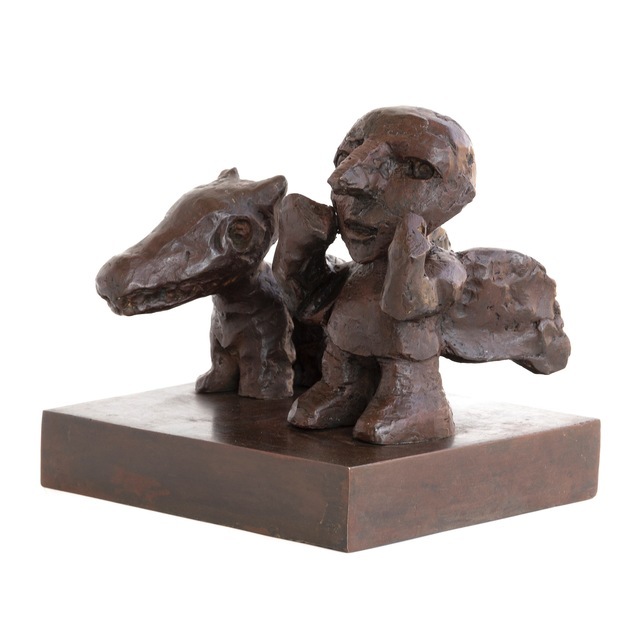 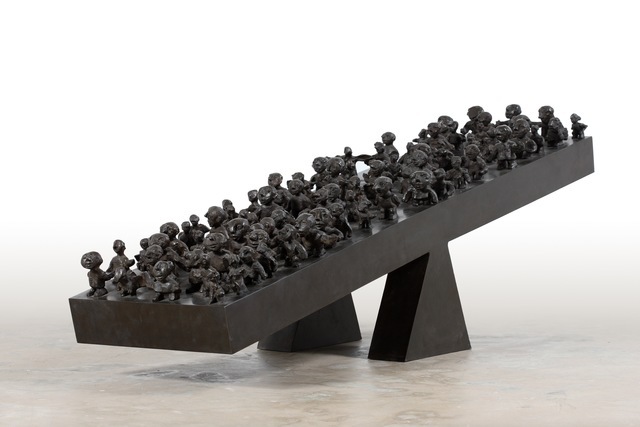 The Untitled show features an array of exhibits, ranging from both large and medium-sized sculptures in bronze and reliefs on clay to Yazigi’s signature figurative paintings on various surfaces, including bread, rice paper and canvas. 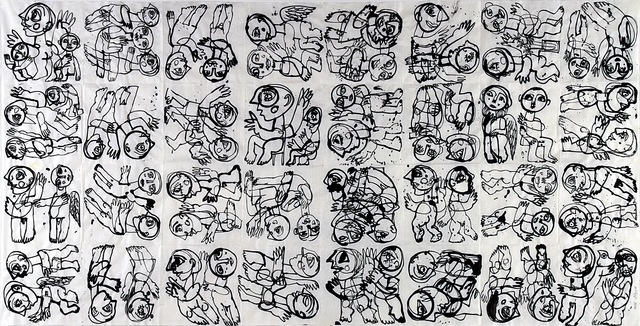 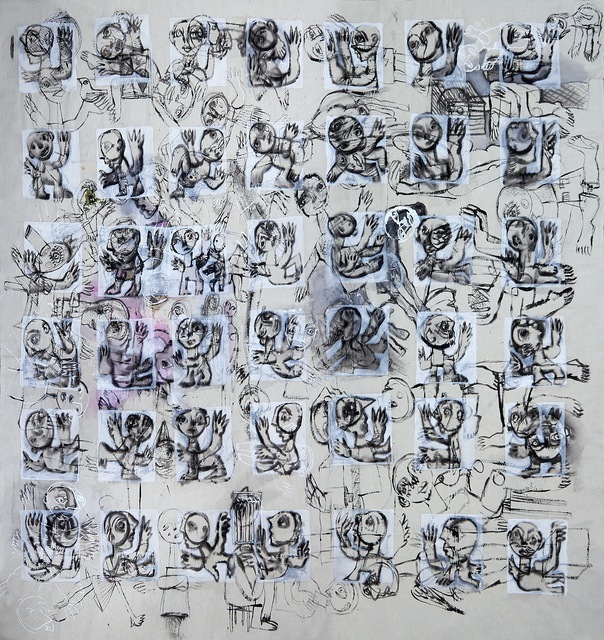 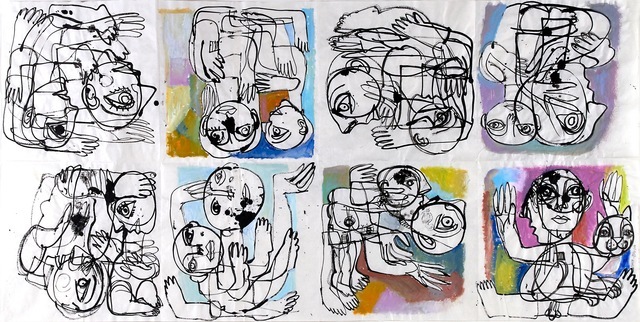 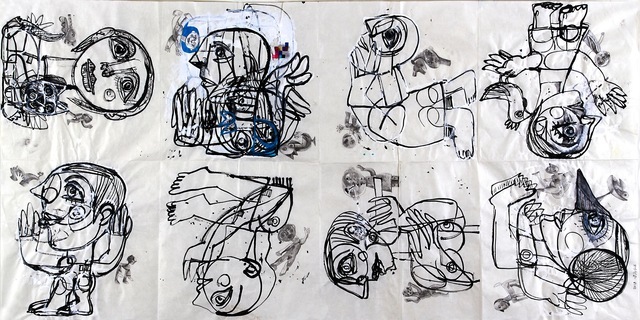 Audiences will be immediately drawn to the artist’s subjects, which are typically given an underdeveloped human form, and telling facial expressions that relay a rollercoaster of emotions, including hope, love, anger, happiness and despair, inspired by Yazigi’s fascination with the highs and lows of everyday life experiences. 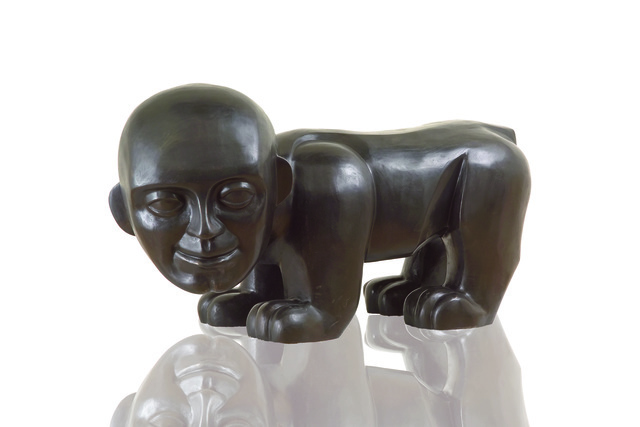 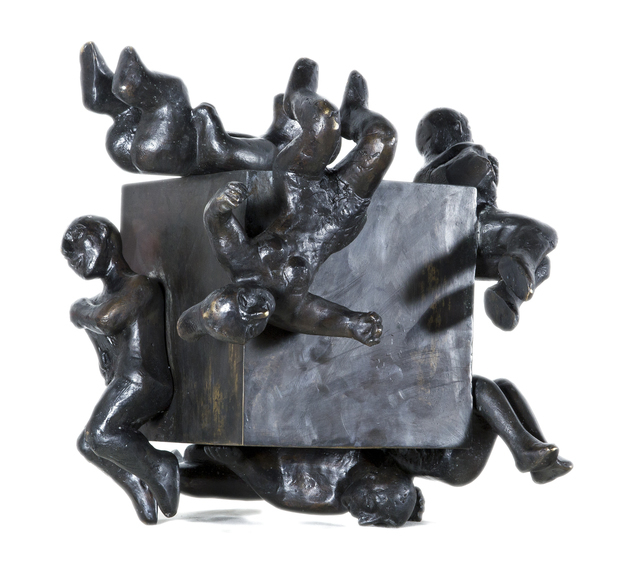 In some of his works, the actions and expressions of his subjects are open to interpretation; for example, are his protagonists in one sculpture jumping, falling or being pushed from a precipice and are they running to a better opportunity or away from danger? 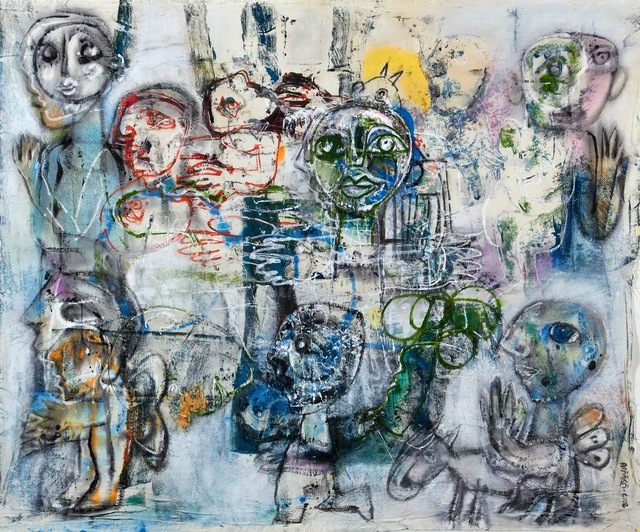 Yazigi’s work undoubtedly reflects the changes he has lived through and witnessed in his homeland over the decade, from the varying levels of light emerging from the shadows and retreating again to set the mood of a piece, to the depth of feeling etched across the faces of his protagonists. 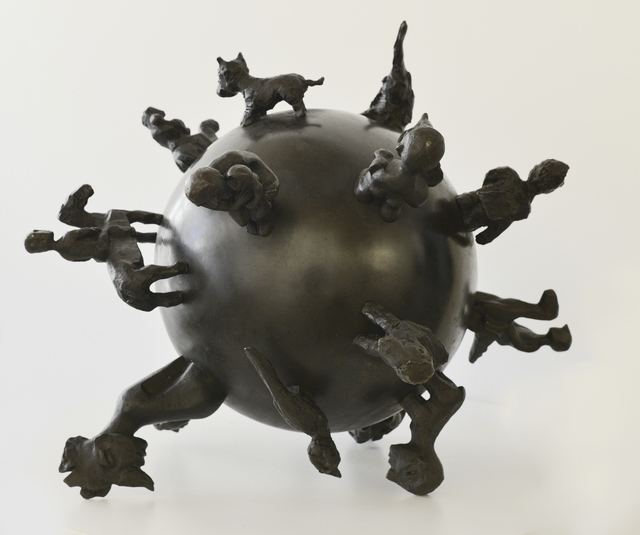 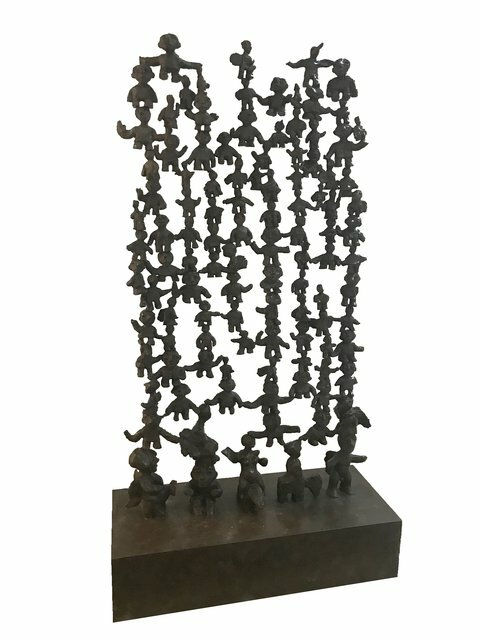 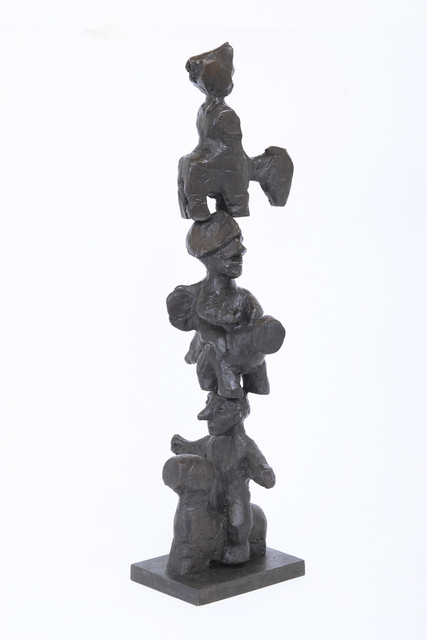 In one large bronze sculpture of a wall made up of figures giving each other physical support, for example, the intermittent spaces provide light, air, and opportunities for both survival and escape. 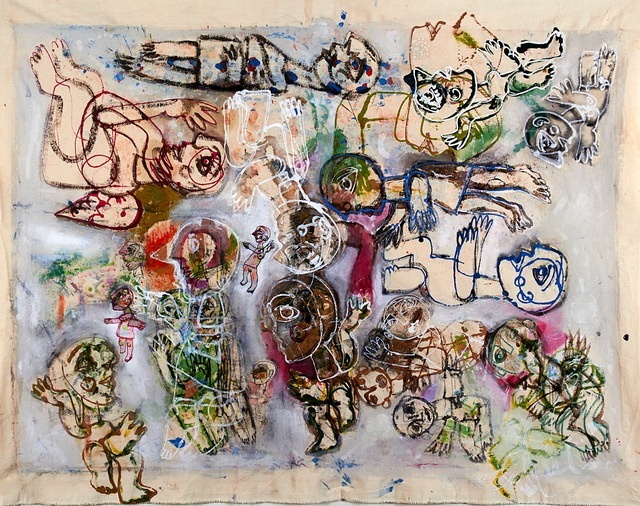 Viewers will also see the artist contemplating the passage of time we all move through in our journey through life and the dreams we harbour along the way, in a separate, large-scale installation that combines paintings on bread with reliefs on clay. 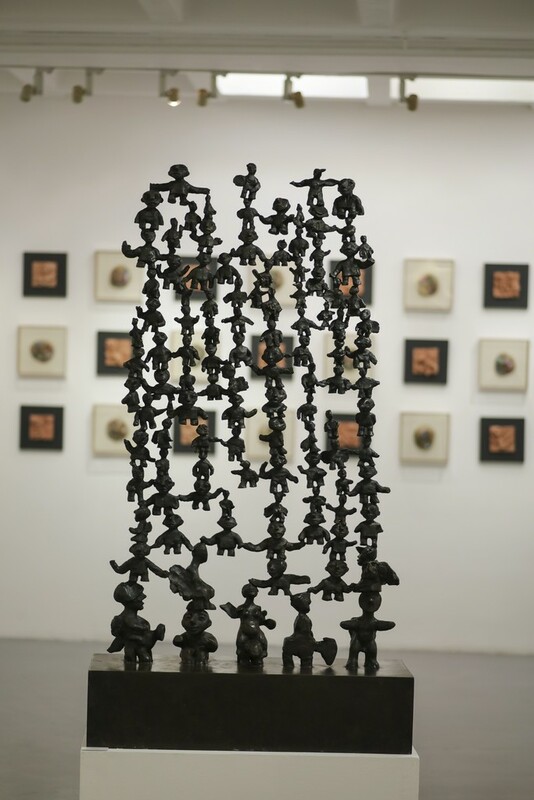 “Bread is the life that we live as we try to make our dreams – both big and small – a reality, while each piece of clay steals a few moments of that time and encapsulates it in a square frame made of wood, so they becomes witness to the process,” he explains. 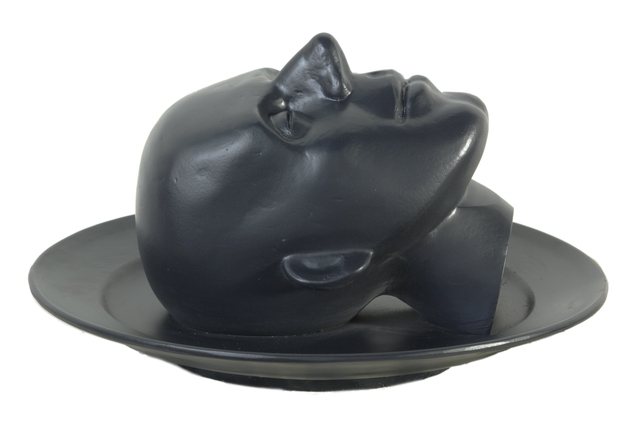 There are subtle, but tangible shifts evident in Yazigi’s most recent pieces; the facial expressions of his characters are more contemplative than previously, while the sculptures are closer to human form in dimension, or “less squeezed” as the artist puts it. 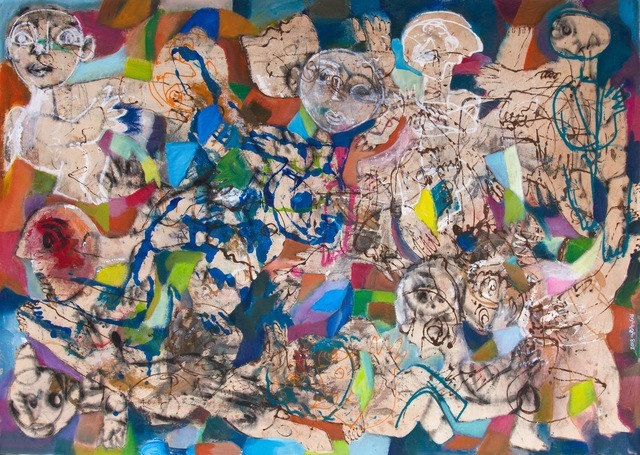 In another move, his paintings have more vibrance and colour, lending them a more upbeat feel. 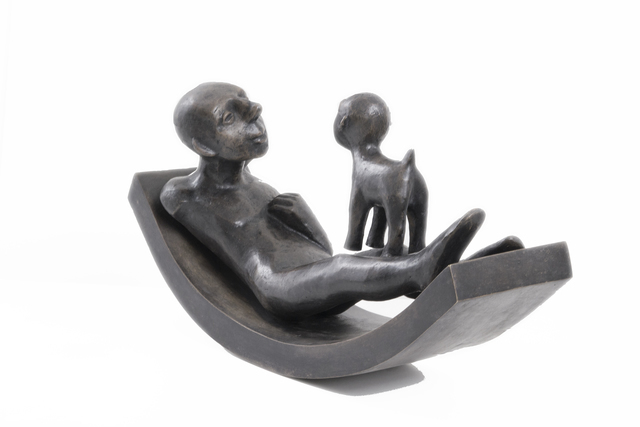 The ambiguity and fragility of the situation is evident; a dog positioned next to an angel in one sculpture could be protecting its companion, but also has a menacing look about it, while the figure reclining in another piece adopts a relaxed pose, but is forced to face his past.